enhanced with maps and photographs. 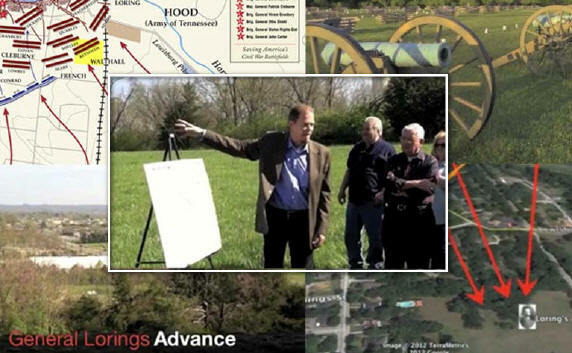 After threats of early morning showers, a beautiful sunny day greeted 33 visitors to Franklin for a tour of Loring's Advance – a 5-acre portion of the close-in Franklin battlefield purchased last fall by the Civil War Trust and STFB. 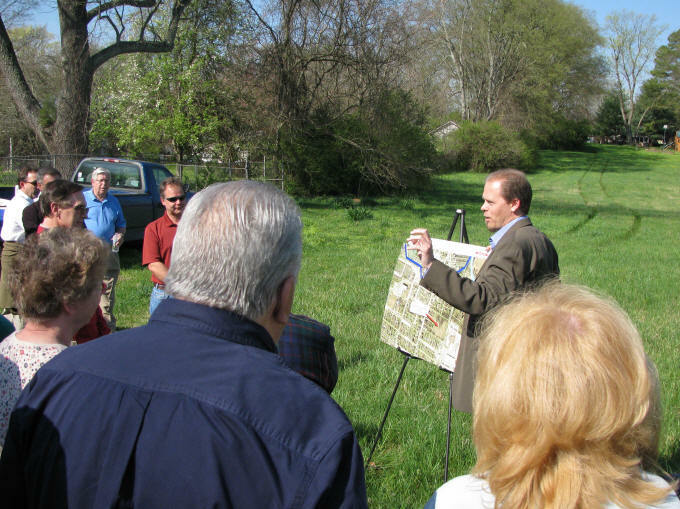 As did many before them, several visitors commented that they were old-time Franklin residents but totally surprised and pleased to see five open acres of the Franklin battlefield in the middle of town. And it is protected, too. 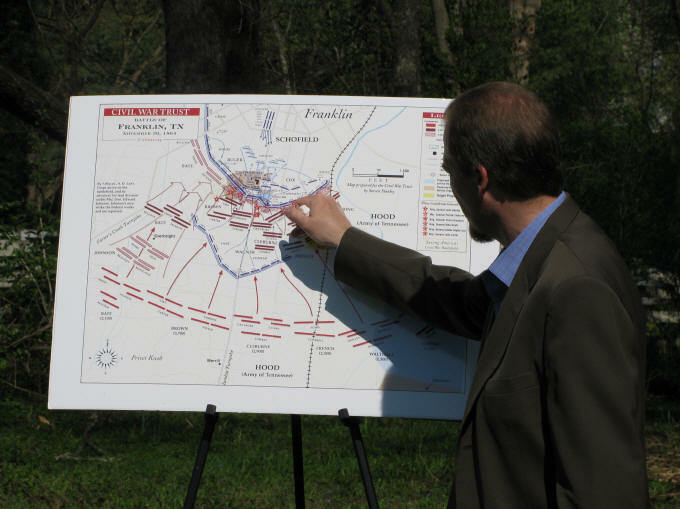 Eric related that 10 Federal guns were placed behind the east end of the trench line on Lewisburg Pike, or just east of it on McNutt Hill, and fired more than 1,150 rounds into the attacking Confederates. Four more guns at Fort Granger could reach the Confederates as they formed up near Carnton Plantation. The guns on McNutt Hill opened just as soon as the attack came into view, and continued their fire until after 8:00 PM. Brutal was a word Eric used often. Learn about our efforts to save Loring's Advance and what you can do to help.